Watch out! 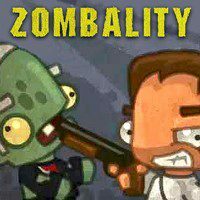 There are a lot of zombies and they wanna to kill you. That is why you must collect different things that will help you to pass each stage and kill every zombies on your way to the win. Get stars and set the best record here. If you are ready, then go ahead! Here you will have to kill all the zombies. Watch out! There are a lot of them! So, there is no time to explain, cause they are already here. You will explore each room and just try to use all your thinking abilities and just have so much fun in order to stay alive. You will have to find and collect all the useful things. For example, the hammer will need you to kill all the zombies and open different doors. And do not forget about stars. Cause the more stars, the better result you will have. So, as you can see, everything depends on you.